Looking for media links to sources featuring Eloisa Ramos? Interviews and the full listing, in chronological order, of A Course in Miracles shows from EFT Radio Online are found here. If you have questions or comments please contact me. ¿Es el miedo que destruye tu paz interior?¿Será posible vivir sin miedo a nada? Stuck in a Fearful Conflict Process: What You Want Conflicts with What You Do? A Course in Miracles: Why Am I Stuck in a Healing Crisis? Un curso de milagros: ¿Por qué estoy en una crisis de salud? Are You Treated Differently Based on Externals? Is This Social Inequality? Are We the Authors of Reality and Life? Do We Create Our Self? ¿Somos los autores de la realidad y de la vida? ¿Nos creamos a nosotros mismos? Phillip Mountrose interviewed Eloisa for his podcast of "A Dose of Love and Happiness" April 25,2014. Clara read and posted a book review for Eloisa's book on Amazon and did an "Author Spotlight" article for her blog with in depth questions about Eloisa and her book. Who do you believe you are? Are the experiences you're having just reflecting back your interpretation of this belief? Is who you believe you are even close to the truth? 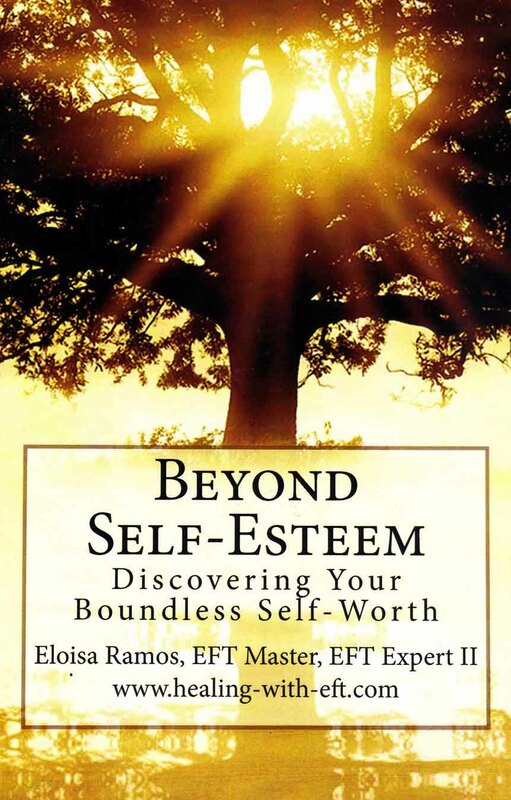 AMT EFT Master and author, Eloisa Ramos takes us from the basic desire for self-esteem, all the way through to claiming self-worth. Eloisa shows us how to 'decide again' by aligning body mind & spirit. She's teaching a new tool for alignment that will allow us to make new decisions about our self, from a place of deep truth. Certified by both Gary Craig & Sylvia Hartman, she now turns her attention to an innovation created especially to align with A Course In Miracles. The most powerful beliefs we hold are those about who we think we are...all of the "I-am's" we're holding about ourself, our "story," and our attachments to them. Gary Craig used to say there's no need to add blue to the sky, we just need to clear away the clouds to see it. The Ramos Clearing Technique use self-muscle testing and intuition to go deeper into the beliefs underlying our problems, so that our 'blue skies' are visible again. Join us for a new clearing technique you can use right away; find out how masterful practitioner Eloisa Ramos' book, Beyond Self-esteem: Discovering Your Boundless Self-worth can help YOU. To learn more about working with Eloisa by phone or Skype go to: Phone Sessions.